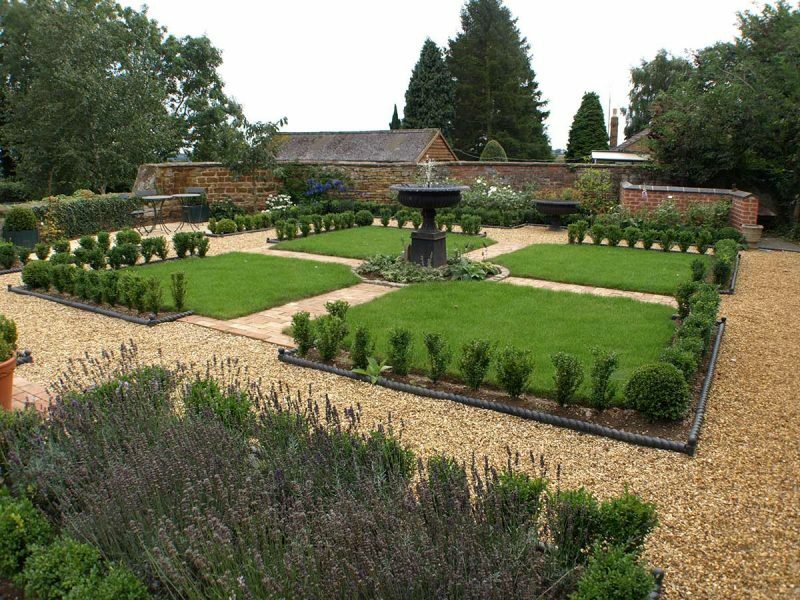 This was the old kitchen garden for Scaldwell House in north Northamptonshire. 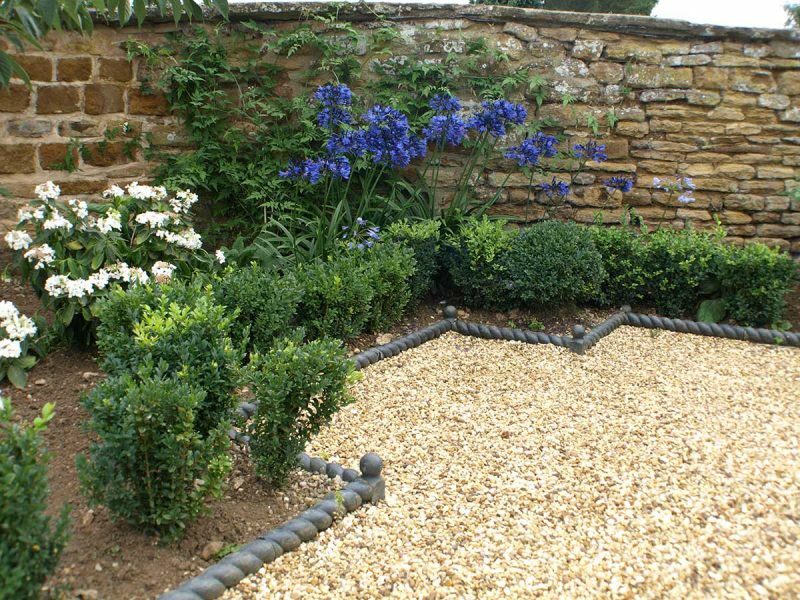 While the rest of our client’s garden was mainly lawn and informal planting, this area was sitting as an unused patch of bare ground at the back of the plot. 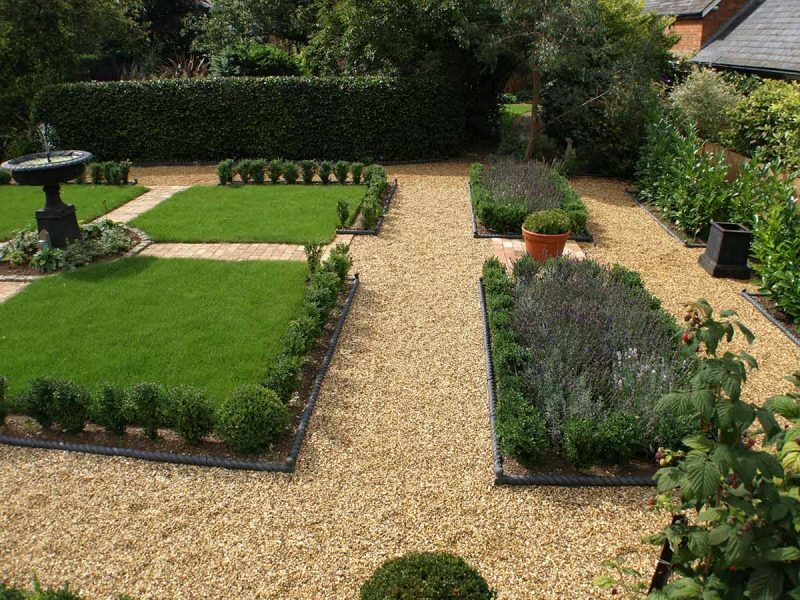 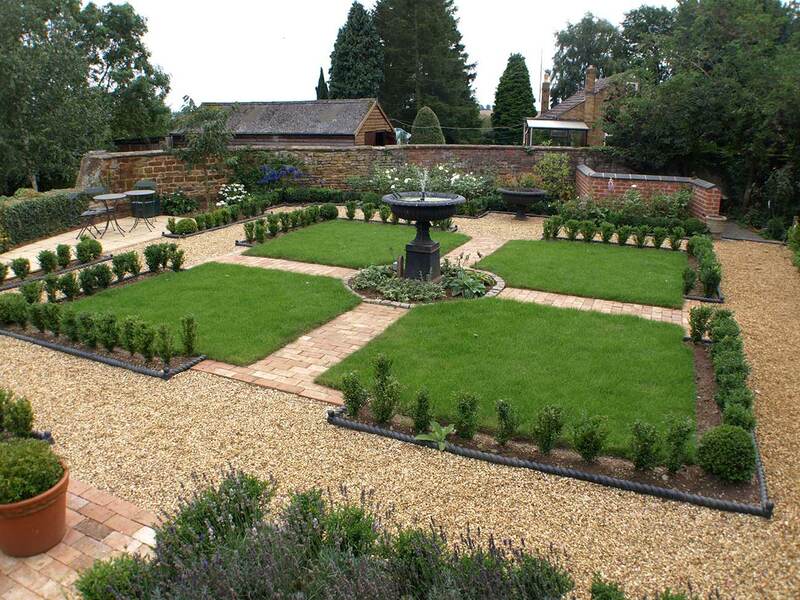 Our client commissioned us to develop a fomal garden that was in keeping with the period of their property. 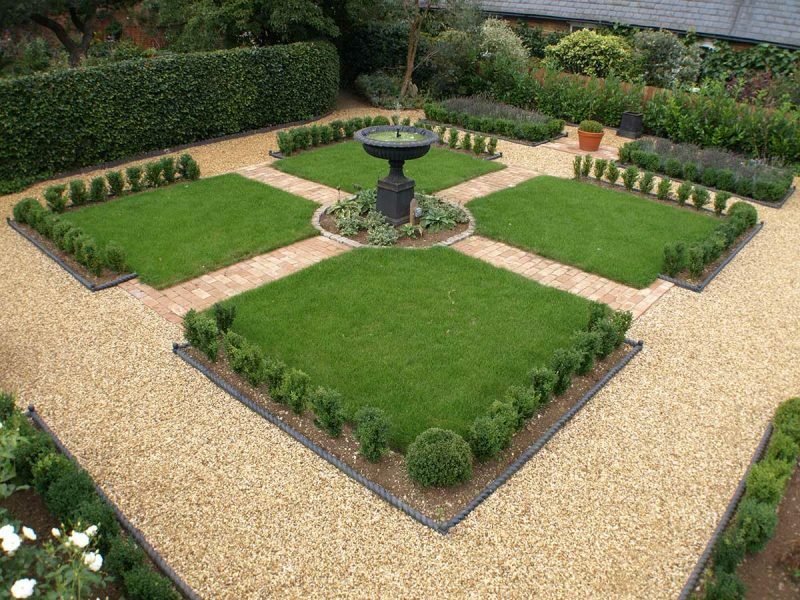 We gave the garden a complete re-design, cutting back the majority of plants to introduce sunlight back into our customer’s garden. 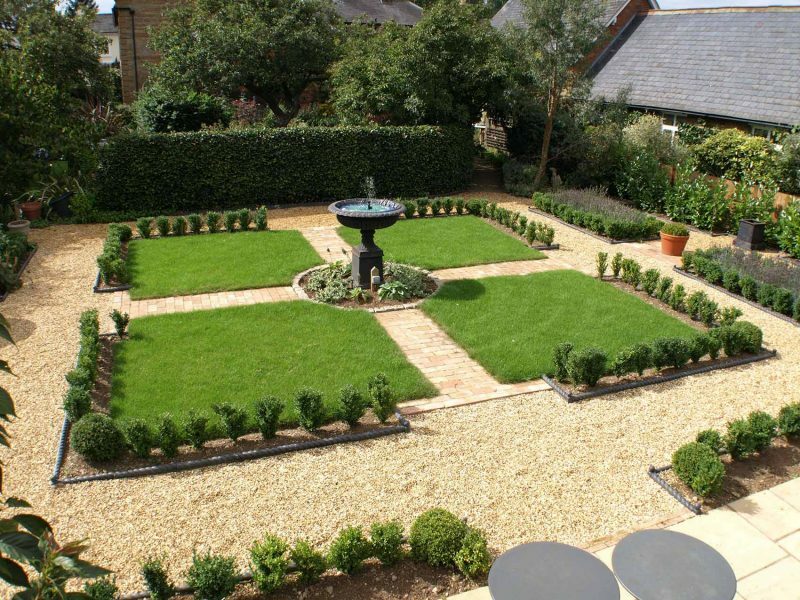 We created a stunning new garden design with grass areas and a beautiful fountain feature in the center. 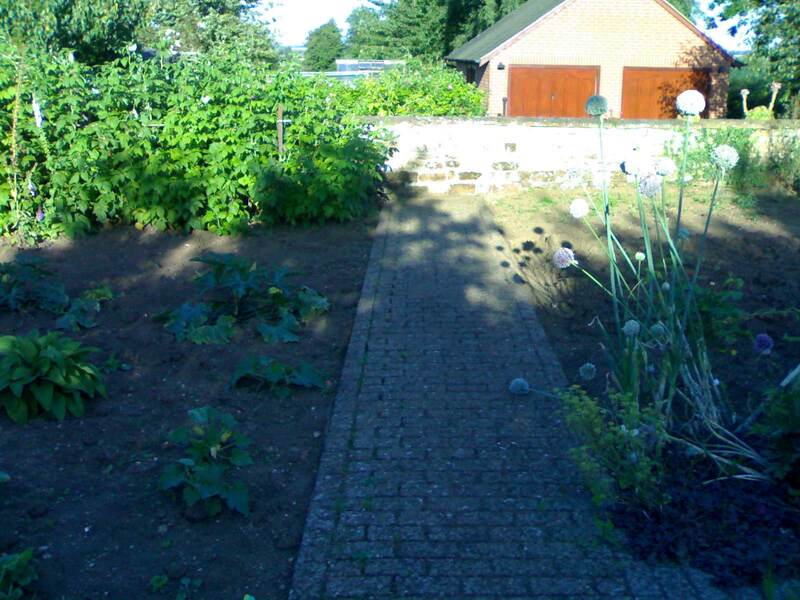 A gravel pathway was created around the outside, with walkways inbetween to create easy access.